Two bedroom apartment in Protaras, located on the ground floor of the complex, built in a traditional Greek style, in a quiet and sought after area. 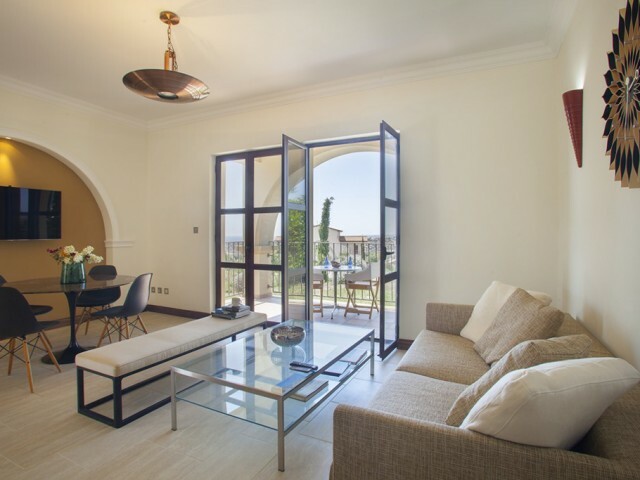 The apartments are tastefully furnished and can accommodate up to 5 people. The spacious bedroom w..
Apartments with two bedrooms are located in close proximity to the beach Mouzoura and offer amazing sea views. The master bedroom has a double bed and access to a veranda overlooking the sea. 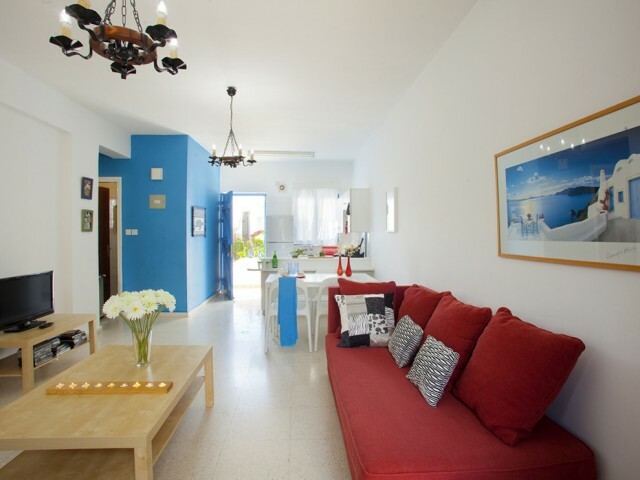 The second bedroom has a single bed and an extra rollaw..
Two bedroom apartment on the sea, located in a small building consisting of only four apartments. Quiet and peaceful place, a one-minute walk from the beach and all the necessary infrastructure. Spacious rooms, two bathrooms, large veranda with se..
Modern single apartment in a quiet location, within walking distance to the beach. 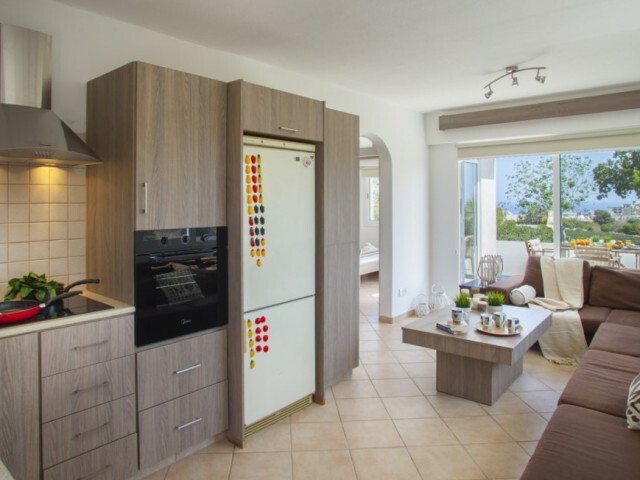 Apartment renovated and offer all the modern comforts: a double bedroom, a fully equipped kitchen, air conditioning, free Wi-Fi and panoramic views of Protaras. Ide.. 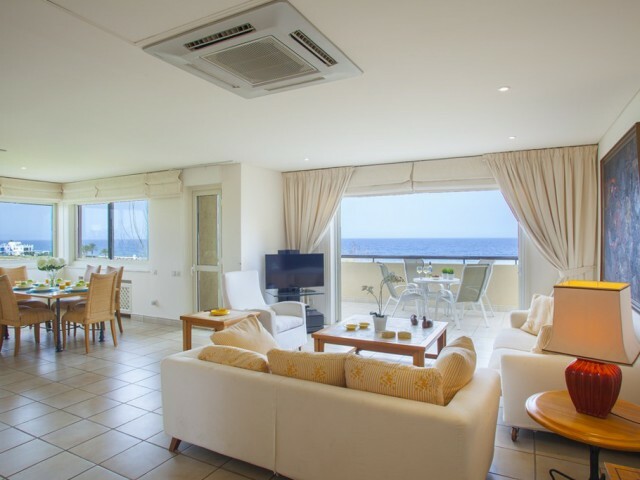 Spacious 2 bedroom apartments in Protaras, located on the second floor, within walking distance to two wonderful beaches. The apartment is tastefully decorated by a professional designer of interiors, can accommodate up to 5 people in the apartmen..
Two bedroom apartment, fully furnished in traditional Greek style. The apartments open plan lounge, bathroom, kitchen and 2 bedrooms. One bedroom has a double bed and the other two bunk beds. At the apartment has a small garden with deck chairs fo..
One bedroom apartments in a luxury complex. 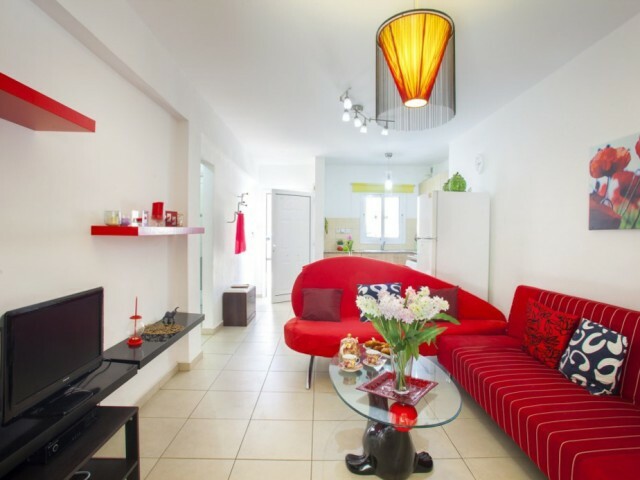 The apartment is fully equipped with furniture and household appliances. A few minutes drive from the town of Paphos and the international airport. 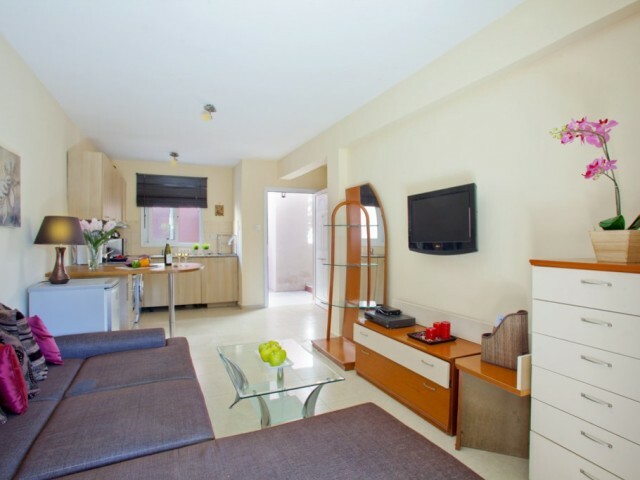 In walking distance SPA salons, supermarkets, cafes and..
One bedroom apartments are located in Ayia Napa, 600 meters from the Monastery and 5 km from the water park Water World Ayia Napa. It offers free private parking, the apartment building is situated 900 meters from Thalassa Museum. 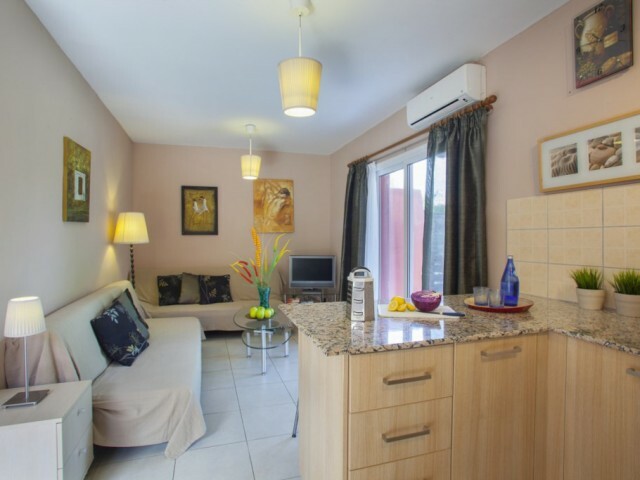 The entire prope..
One bedroom apartment in Ayia Napa with its own garden and covered veranda. Apartments allow accommodate a family of four. 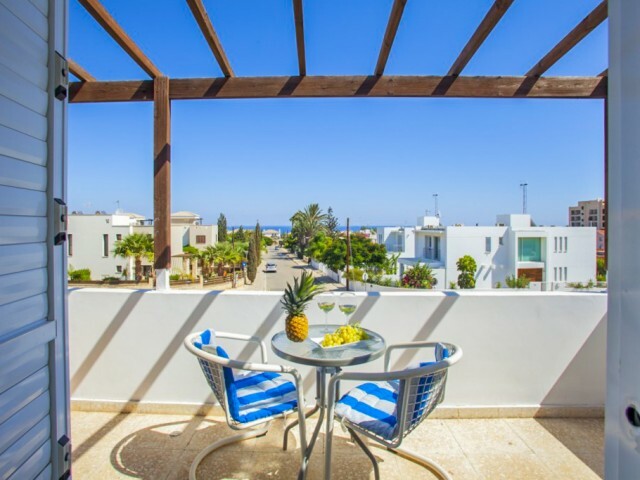 Great location, city center, within walking distance of all the necessary infrastructure, as well as the tourist center of A..
Two bedrooms apartament are located in the resort of Ayia Napa, 600 meters from the Monastery of Agia Napa. Among the amenities: air conditioning, free Wi-Fi and a patio. It overlooks the garden. Water Park of Ayia Napa Water World - 5 km. The kit..